Quinlan students may schedule individual Career Advising appointments through RamblerLink. Develop your career strategy and your networking know-how over brunch in the Schreiber Center. Stepping into opportunity is about being prepared when opportunities present themselves. Whether you are getting ready to interview, network, or explore new career advancement or transition options, you will discover opportunities both inside and outside of the classroom. 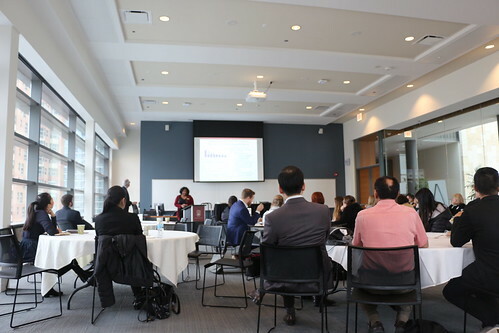 This Career Strategies Series session is designed especially for Quinlan MBA and MS students, and graduate certificate students as an outstanding opportunity to learn from successful business and recruiting professionals while meeting and networking with alumni and fellow classmates who are working in a variety of industries. New trends in video and virtual recruiting and interviewing will be discussed and preparation and practice tips shared. RSVP in RamblerLink and have brunch while gaining invaluable insights and strategies for career advancement and transition, preparation, strategy and execution. A delicious brunch will be provided. You won’t want to miss this session of the Career Strategies Series! Bring your own individual questions for discussion. Attire is business casual. Space will be limited. Looking for a job or internship? Looking to recruit a Quinlan student? RamblerLink provides a one-stop shop for job searches, recruiting and more.